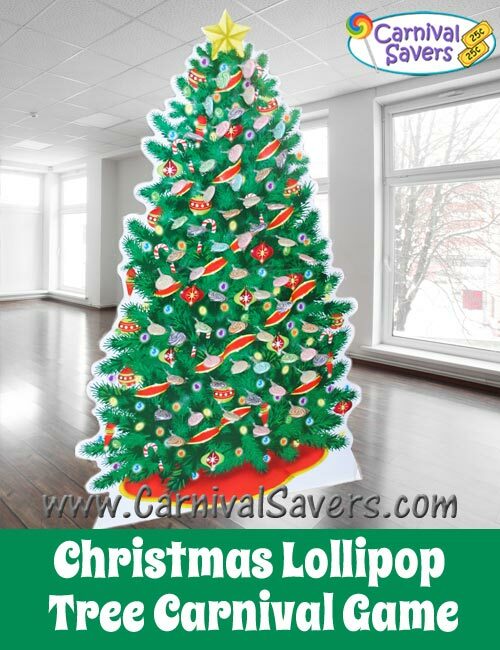 *This Carboard Stand Up Christmas Tree was turned into a Lollipop Tree in a few minutes using a drill or other sharp item to poke the holes for the lollipops. Before the carnival (or party), count the number of top prizes you wish to give out at this winter holiday carnival booth. Mark the end of the stick of one lollipop for each grand prize. Do not put all of the top prize lollipops in the tree in the beginning - just to make sure you have some top prizes for the end of the carnival too -- so have your volunteers add some top winning lollipops to the tree every hour or so. 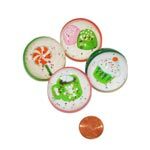 Each child chooses a lollipop from the lollipop tree -- they always keep the lollipop they choose but... if the lollipop has a colored mark on the end of the stick, then the child gets to keep the lollipop they picked AND a top carnival prize! Safety Note: This booth is popular for preschool children. Plan on having a few individual bags (or boxes) of animal crackers on hand. If a young child wins, let the parents decide if the toddler receives the top prize or a small box of animal crackers or cookies. 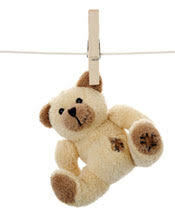 Holiday Prizes Will Make Kids Think Santa Arrived Early this Year! Looking for More Winter Games? 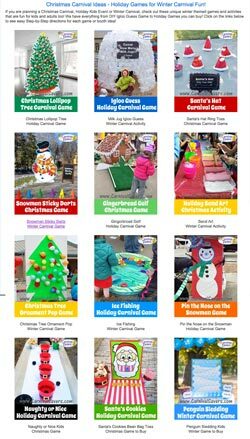 Click to see more than 12 Unique Winter Carnival Games and Activities for any Winter or Christmas Carnival or Party! 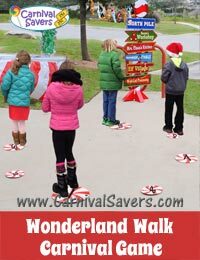 Check out the Winter Wonderland Walk Carnival Game! Played just like the cake walk! 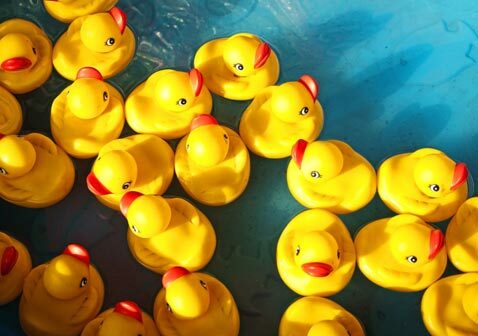 Click for supplies needed and a refresher on how to play! Remember that Sticky Darts do loose their "stickyness" when they become dirty, dusty or even with use, so have plenty of these safe darts for this game!